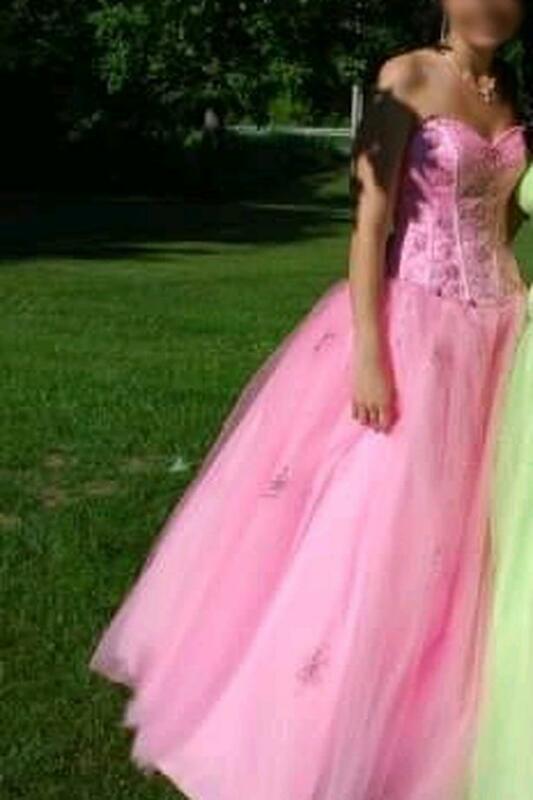 I have a Like New Mori Lee Pink Cinderella Dress for sale. This is in excellent condition and would look great in your home or to give as a gift. * Size 3/4 but larger sizes should still fit due to the adjustable corset on the back.